India says it will send warships to the Gulf of Aden to protect its container vessels from pirates operating off the coast of Somalia, according to a BBC report today. Recently, there has been a dramatic increase in incidents of piracy off the coast of Somalia. In August, 18 Indian sailors were captured by the Somali pirates who claim they are protecting Somali waters. The Gulf of Aden has seen 13 incidents of hijack in the last two months. While some analysts have expressed fears of terror connections in lawless Somalia, others believe that the pirates are only interested in kidnapping for ransom. However, there are charges that some of the piracy proceeds have gone to al-Shabab, a Somali militia that the U.S. accuses of harboring the terrorists who attacked U.S. embassies in Kenya and Tanzania in 1998. Piracy off the coast of Somalia is estimated to have cost up to $30m (£17m) in ransoms so far this year, according to a recent report by a UK think tank. The pirates, some backed by warlords affiliated with the transitional government installed by Ethiopia with the US backing, have exploited the chaos. The rise in piracy in Gulf of Aden is seen by some as an unintended consequence of the US war on terror, according to Newsweek magazine. Two years ago piracy in the Horn of Africa was almost stamped out. The Islamic group that took over Mogadishu and parts of Somalia in 2006 defeated several militias involved in piracy and warned others that they'd face punishment under a harsh version of the Sharia law. This tactic worked: "During the summer of 2006 there were no attacks [on ships] at all," says Pottengal Mukundan, director of the International Maritime Bureau. 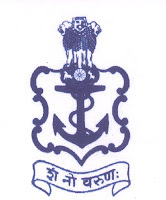 The Indian Navy is the world’s fifth largest navy. It is proud of its "blue water" capability to operate on the high seas away from the Indian shores to project India's power in the Indian ocean and to "protect" major sea routes and "impress" its neighbors. It is a three-dimensional force consisting of sophisticated missile-equipped warships, aircraft carriers, minesweepers, advanced submarines and the latest aircraft in its arsenal. India's Naval forces are maintained and supported by modern dockyard facilities with state-of-the-art technology. The Indian Navy has two major Naval bases at Mumbai and Visakhapatnam on the two coasts of India. The Chinese PLA Navy, the other major power in Asia, has ambitious plans to become the world's largest force but it currently lacks any aircraft carriers. In 2000, the Indian Navy deployed a fleet in the South China Sea for the first time, bringing rebukes from China. Just three years later, China deployed its ships to the Indian Ocean, conducting exercises first with the Indian Navy and then with its traditional partner and India's archenemy in the region, Pakistan. Pakistan Navy is a much smaller force but it claims to be a "four-dimensional" force including marine units. It is not capable of undertaking the kind of missions that the Indian Navy recently has. In 2002, the Indian Navy conducted patrols in the Strait of Malacca to guard high-value cargo ships from attack, relieving a U.S. vessel and freeing it for other missions related to U.S. Operation Enduring Freedom. The US Navy has been operating in the Gulf of Aden for months, claiming some success in foiling hijacking attempts by the Somalis. The area in question is a 920- by 300-mile basin separating the Arabian coast from the Horn of Africa. It is used by about 250 ships a day, according to a U.S. Navy spokeswoman, Lt. Stephanie Murdock. The Associated Press has reported that the area was the scene of the deadly al-Qaida attack on the USS Cole off Yemen. And it is a hive of illegal activity, including gunrunning as well as people- and drug-smuggling. The Indian Navy along with navy ships from several other nation will probably be helpful in dealing with piracy. But can the naval power alone succeed in stemming the growing problem of robbery on the high seas in the Indian ocean? I seriously doubt it. The piracy problem is only a symptom of the core problem of lawlessness in Somalia. What is really needed is the restoration of a functioning government in Mogadishu to deal with this menace and other terror-related problems in the Horn of Africa. "The Sizzler is the leading example of a growing class of supersonic cruise missiles designed by non-Western countries. Versions of it, and its competitors, can be launched from submarines, aircraft and vehicles. The Yakhont, a slightly slower Russian missile that also carries a heavy warhead, has been sold to countries including Indonesia and Vietnam. The BrahMos, a joint Indian and Russian upgrade of the Yakhont, comes even closer to matching the Sizzler’s effectiveness. These non-Western supersonic missiles are changing defence thinking. To begin with, uncertainty about ship “survivability” is increasing as missiles proliferate, says Steve Zaloga, a missile expert at Teal Group, an aerospace consultancy in Fairfax, Virginia. China and India already have Sizzlers and countries that have indicated interest in, or bought, the Sizzler or versions of it include Algeria, Syria, the United Arab Emirates and Vietnam. Some think Iran probably has Sizzlers too." "Iran is one country gaining naval power without much in the way of sophisticated ships. It has large numbers of anti-ship missiles which can be launched from small, fast boats or batteries hidden ashore in buildings or trucks. Defence officials are troubled by the prospect of missiles that can be launched from civilian positions. A product designed by Concern Morinformsystem-AGAT, the Russian company behind the Sizzler, may heighten such fears. The firm now offers a four-missile launching package hidden inside a standard commercial shipping container. It could be transported on a ship, train or big lorry. Called the Club-K Container Missile System, it provides dangerous potential to rogue forces, says a Western arms-market consultant who has visited the manufacturer’s facilities in Russia." Indian naval authorities say they hope to salvage a 3,000-tonne warship which ran aground on Monday after colliding with a merchant ship. The INS Vindhyagiri collided with a Cyprus-flagged merchant vessel on Sunday in Mumbai and caught fire. The incident has been described by critics as one of the navy's most embarrassing peacetime incidents. About 400 passengers and crew who were on board the warship at the time of the collision had to rescued. Some media reports say that the stricken ship sustained serious damage when it hit the seabed at the naval dockyard in Mumbai, but there has been no official acknowledgement of the damage. At the time of the accident, the warship was returning from a "day at sea" for families of sailors and officers. The navy says it has registered a case against the captain and crew members of the merchant vessel. They are accused of negligent navigation, causing injuries and endangering the lives and personal safety of others. The navy says that it is also conducting an independent inquiry into the incident. "It is very difficult to gauge the extent of damage at this point. But we will involve our technical agencies to salvage the ship. Firstly, it has to be made lighter by pumping the water and fuel out. Then we can carry out further operations," a navy spokesman said. A coastguard spokesperson said that the possibility of an oil spill had been averted because the ship was in a tidal basin and river booms had been deployed to stop any movement of oil. "There is no chance of any spillage spreading as the area is part of naval dockyard," he said. KARACHI, March 7 (APP): The multinational Naval exercise Aman 2011 will be conducted from March 8 to 12 in the Arabian Sea under the arrangements of Pakistan Navy.This was stated by the Commander Pakistan Fleet, Vice-Admiral Abbas Raza,here on Monday.Briefing the newsmen about the event, he said that a total of 39 countries along with their Naval assets would participate in this exercise.Admiral Abbas pointed out that the major Naval forces have started assembling in Pakistani waters for the cause of international maritime peace. He stated that Naval ships from 11 different countries including USA, UK, China, Indonesia, Malaysia and Saudi Arabia have arrived here on Monday to participate in the multinational Naval Exercise Aman 2011. It was pointed out that the large scale exercise is being conducted from March 8 to 12 in the Arabian Sea under arrangements of Pakistan Navy. Maritime air platforms from Japan, Australia and USA have arrived here on Sunday. In addition, Special Operation Forces, explosive ordnance, disposal experts and marines teams from Turkey, Saudi Arabia, China and USA are also participating. Upon entering the Karachi harbor, the participating ships were given a warm welcome by PN officers and sailors with military bands playing national tunes. Exercise Aman 2011 is third in line of its biennial series of exercises being conducted off Pakistan’s coast. First exercise Aman was held in March 2007 followed by Aman in March 2009. Admiral Abbas further stated that Aman series of exercises have been aimed at promoting interoperability and mutual understanding between friendly regional and extra regional nations to put up a collective response to multi-faceted threats like narco trade, human smuggling, gun-running and terrorism etc. He said that in the past few years piracy at high seas has presented a formidable challenge to the countries around the globe. It is not possible for any one country to single handedly deal with these threats. Resultantly, nations around the world have re-strategized their roles to deal with this ominous threats and the concept of ‘collective and collaborative’ security especially in the maritime domain has gained greater pre-eminence than ever before. Admiral Abbas said that Aman Series of exercises are an effort from Pakistan and Pakistan Navy to promote maritime security awareness in the region. The main focus of the exercise Aman 2011 is to project united resolve against maritime terrorism and other crimes. ISLAMABAD, March 8 (Xinhua) -- Delegations of 40 countries from all over the world reached Pakistan to take part in naval exercises, coded "Peace-11 Exercises," which officially kicked off on Tuesday, reported local English daily Express Tribune. Commander Pakistan Fleet Vice Admiral Abbas Raza said that since the Mumbai attacks, the Maritime Security Agency and Indian Coast Guards have established a special hotline to stay in direct contact to avoid any future untoward incidents. The commander answered questions at a briefing held for the media at the fleet headquarters in Karachi on Monday about the Aman-11 exercise, in which around 40 countries are participating. Raza said the magnitude of the threat in the seas had diversified over the years which included terrorism, weapons smuggling, narcotics trade, human trafficking and piracy. "It is not possible for any one country to single-handedly deal with all these threats," he said, adding that there was a dire need for "collective and collaborative" security. The Aman series of exercises, which formally begin on Tuesday, is one example of promoting mutual understanding and interoperability between regional and friendly countries against asymmetric threats, he said. Naval ships from all over the world have started to arrive in Karachi to participate in the exercise which will be conducted between March 8 and March 12. Around eleven countries, including the U.S., UK, China, France, Australia, Japan, Saudi Arabia, Turkey, Indonesia and Malaysia have sent their ships and Special Marines Forces for participation. Twenty-eight countries, including Russia, UAE, Bahrain, Qatar, Oman, South Korea and Netherlands have sent their delegations to participate in the exercise as observers. When asked whether India was asked to participate since this was a regional exercise, Raza said that would only become possible once relations between the two countries improve. He said Iran and Bangladesh chose not to participate despite invitations. Sri Lanka, too, backed out at the last minute. He said that piracy at sea remained a formidable challenge which had now spread out to the Indian Ocean from initially being limited to just the Strait of Malacca. "We are keeping track of ship movements through the Pakistan National Shipping Corporation," the Vice Admiral informed about the anti-piracy efforts. When asked if the recent strain in diplomatic relations between Pakistan and the U.S. had any adverse effect on them, Raza said professional cooperation between the armed forces were excellent. Meanwhile, Chinese naval ships were accorded a warm welcome when they arrived at the Karachi harbor on Monday. Talking to the media, Commanding Officer of the Chinese ship said that the long- standing Sino-Pakistan friendship was beyond all boundaries. The Aman-11 exercise is the third in line of its biennial series of exercises being conducted off Pakistan's coast. The first exercise Aman-07 was held in March 2007 followed by Aman-09 in March 2009.